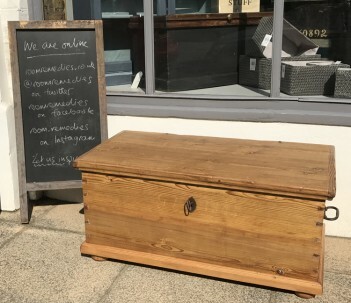 A lovely example of a Continental Pine Antique Box/trunk from circa 1900. This trunk has it's original candle box inside, a working original key and lock and iron original handles. The trunk has been stripped, restored, polished and waxed.